The day draweth near with relief. And an answer will certainly come. And help you, so sure as you call. Believe you were born to succeed. 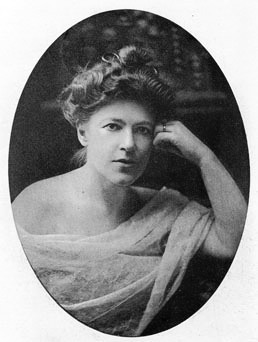 Ella Wheeler Wilcox (1850-1919) was a popular and prolific poet. Published and lauded before she even graduated from high school, Ella preferred to write happy, upbeat poetry and was much beloved for it. More than a dozen of her poems are included in the book, Best Loved Poems of the American People (Doubleday, 2008). The familiar saying, "Laugh and the world laughs with you, weep, and you weep alone. . ." comes from her best-known poem, "Solitude." A morally strong and spiritual person, Ella believed that her purpose on earth was to practice kindness and service. Read more about her here. A deceptively simple rhyme with deep meaning. Thank you, Ella, really Needed to hear this encouragement today... J.
I bet she encouraged some persons with this back in the day. And it is still true.